TraffGen’s eCRM module allows casinos to create patron journeys to guide a patron to a quantifiable objective, i.e. reactivation, big loss, retention and more. With TraffGen’s drag and drop technology, we have revolutionized the way casinos market to their patrons. 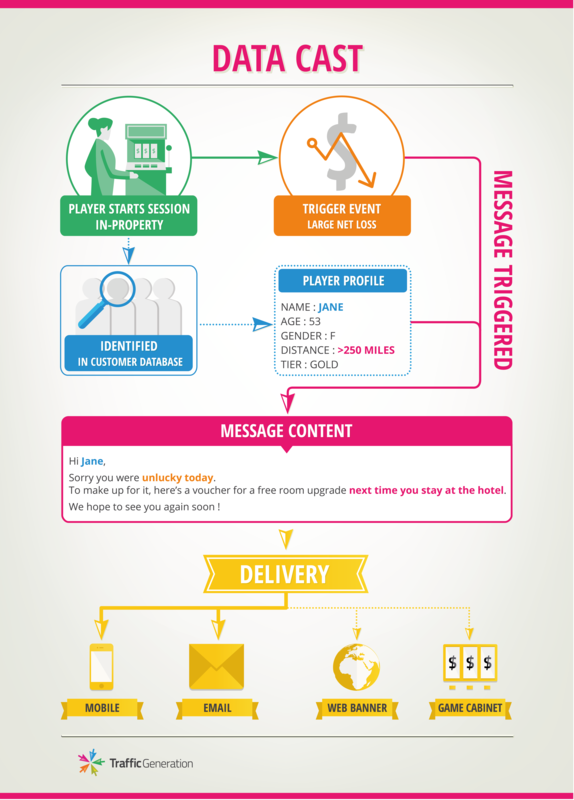 TraffGen’s eCRM also allows you to deliver highly targeted messages to players based upon their real-time actions. 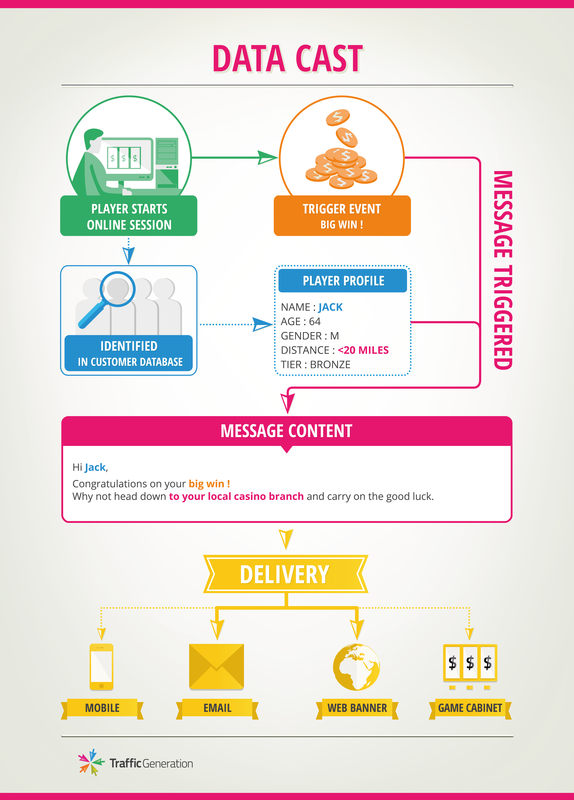 The Hub’s behavioral tagging is used to identify buckets of players and match them to targeted marketing communications. The RMS monitors player behavior and automatically shows the right message at the right time. The Datacast module gives you full-control over your marketing communications. From promotional banners, to leaderboards & cross-sell messages, Datacast can drive multiple marketing campaigns simultaneously.